PROFITABILITY AND WORKING CAPITAL While this might seem obvious, it is important to know that profitability AND working capital need to be looked at together. For example, if a contractor has good working capital but has had running losses for the past couple of years, it will still be difficult for a surety to issue a bond with a good deal of comfort. 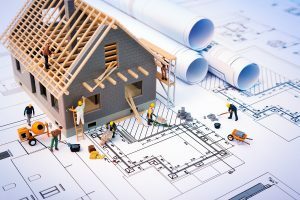 On the contrary, if a contractor consistently shows a strong bottom line but its assets consist mostly of property and equipment and it does not have significant working capital, a surety would question if the contractor can actually fund larger jobs. When looking at working capital, it is likely that a surety would discount certain current assets, such as inventory, significantly aged accounts receivable, prepaid expenses, and any related party or shareholder receivables. It is important to take these into consideration when looking at working capital levels. Many contractors are able to bid jobs by looking at direct costs to be incurred and utilizing a percentage to cover indirect costs and margin based on the contractor’s experience in the industry. While this can work to win bids, a more detailed approach is necessary to track progress on the jobs. Being able to accurately allocate equipment costs (depreciation) and other indirect costs (such as insurance, overhead labor, supplies, etc.) to jobs is critical in the eyes of a surety. Inaccurate or lacking indirect cost allocations may indicate poor internal systems to the surety, and it also creates undesirable profit swings on jobs, especially when only allocated once per year. Showing consistent profit fades as a result of inaccurate allocation of costs to the jobs will ultimately discount a contractor’s bond-worthiness. A contractor that can demonstrate the ability to accurately portray job status on a timely basis will be desirable in the eyes of a surety. UNDERBILLINGSDepending on the type of contractor, large and/or late-stage underbillings can immediately raise a red flag in the eyes of a surety as these could indicate revenue recognized on unapproved change orders or claims. Large underbillings indicate that the contractor has performed more work than it has billed for, which immediately brings up the question of whether or not the contractor will ever get paid for the underbilled work. Having a history of underbilled contracts in progress coupled with profit fades will be problematic in the eyes of a surety. On the other hand, overbillings on jobs generally indicate good cash flow management and the ability to utilize capital of the job owner to fund progress on the project, as opposed to funding with the contractor’s own working capital or bank financing. BANK LINE USAGEShort-term financing through lines of credit or other mechanisms can be critical to a contractor’s success due to the capital needed to perform in the industry. During peak points in activity, a capital infusion can be necessary to keep jobs progressing towards deadlines. However, a contractor that is constantly utilizing the maximum amount of credit facilities offered could indicate cash flow issues. A surety will look for the ability of a contractor to pay off short-term financing after the peak busy times have passed and the contractor has collected cash from the jobs. Overall, it is imperative for a contractor to obtain good bonding programs and to have a good working relationship with its surety. In order to do so, a contractor must know some of the key areas that will be focused on when it comes time for the surety to look at the financial standing of the company. A CPA specialized in the construction industry understands what sureties and banks want to see from a contractors’ financial statements. Sureties can also recognize if a contractor is working with a well-qualified CPA just by looking at the financial statements, paving the way for a good working relationship. A specialized CPA helps contractors understand and plan ahead for things such as cash flow management and allocation of costs, all while explaining the implications of a variety of financial decisions. To find out how DKB can assist you view our construction and specialty contractors industry page here.